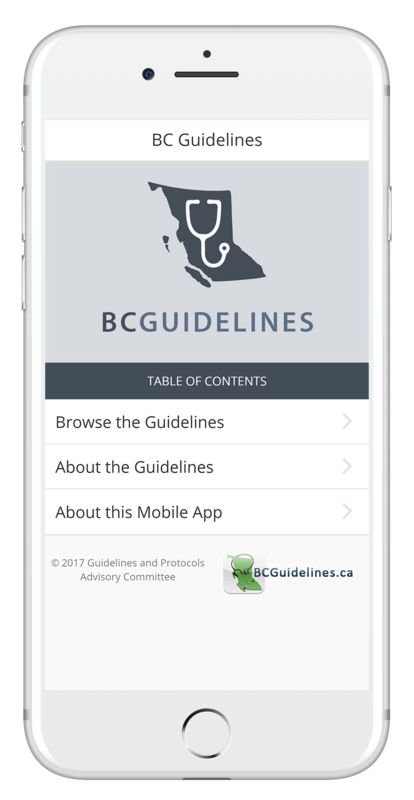 As of 2017, the BC Guidelines are now available in a free and re-designed mobile app that works even without internet connectivity! The BC Guidelines Mobile App is available now for free. Select your preferred platform below to get started. a variety of great features for ease of use! works without WiFi or a mobile internet connection. are included within the app for easy access. the quick new browse and search functionality. which enables you to jump to any section of interest. 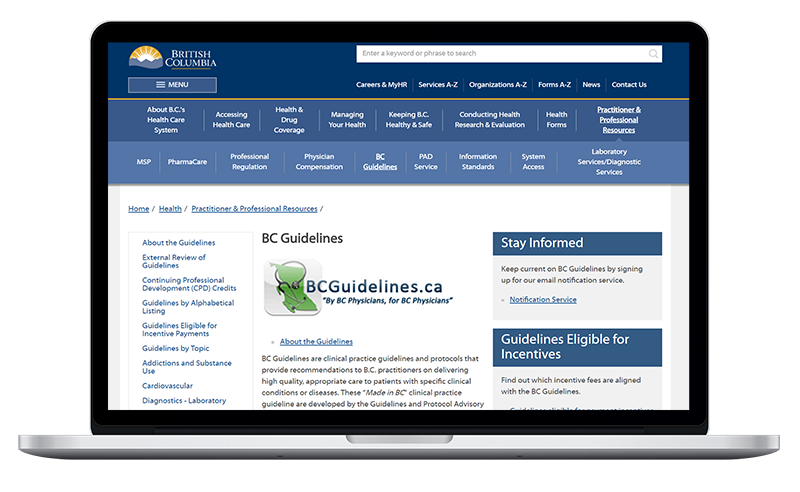 To learn more about the BC Guidelines or to access the guidelines content online in a web-based format, please check out the official BC Guidelines website. Copyrights © 2017 All Rights Reserved by Tallinn Technology.